Mahmoud Abbas, the President of the Palestinian Authority, says he has returned funds from frozen tax revenues handed over by Israel because they amounted to only a third of the total owed. Israel began withholding around a $130 million a month in tax and customs revenues owed to the Palestinians in December in retaliation for the Palestinians joining the International Criminal Court (ICC). Their accession to the ICC was finalized on April 1 and under international pressure Israel agreed last week to resume the money transfers. It paid up $400 million but withheld about a third of the total sum saying the Palestinians owed it for utilities such as electricity. 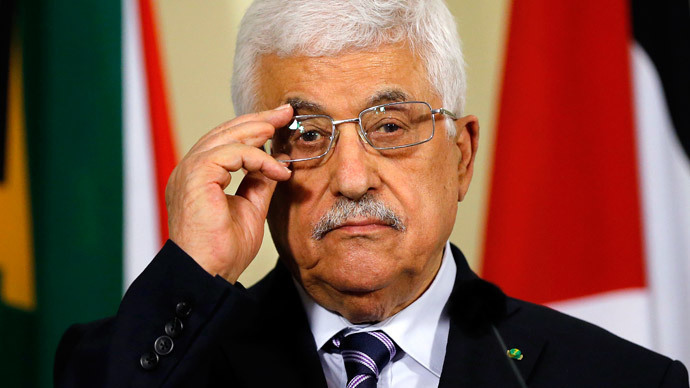 “They said they were going to send the money and in the end they did, but a third of it was deducted - why?” Mahmoud Abbas said during a speech Sunday in the West Bank city of Ramallah. Under an agreement between Israel and Palestine signed in 1994, Israel gives the Palestinian Authority (PA) millions of dollars each month in return for customs duties raised on goods heading for Palestinian markets that transit through Israeli ports. Although Israel has stopped the payments before, it has never done so for more than a couple of months except in 2006 when Hamas won a huge victory in Palestinian elections. The monthly funds from Israel account for around two-thirds of the Palestinian budget, the rest being made up by foreign aid. Blocking the funds also means that the PA cannot pay its 180,000 employees, which costs $200 million a month. The situation is further complicated by the fact that Palestinian cities in the occupied West Bank are almost completely reliant on electricity supplied by Israel.